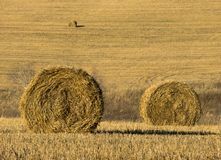 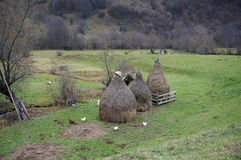 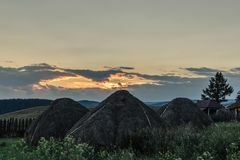 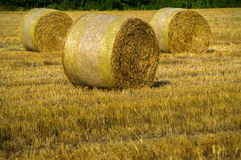 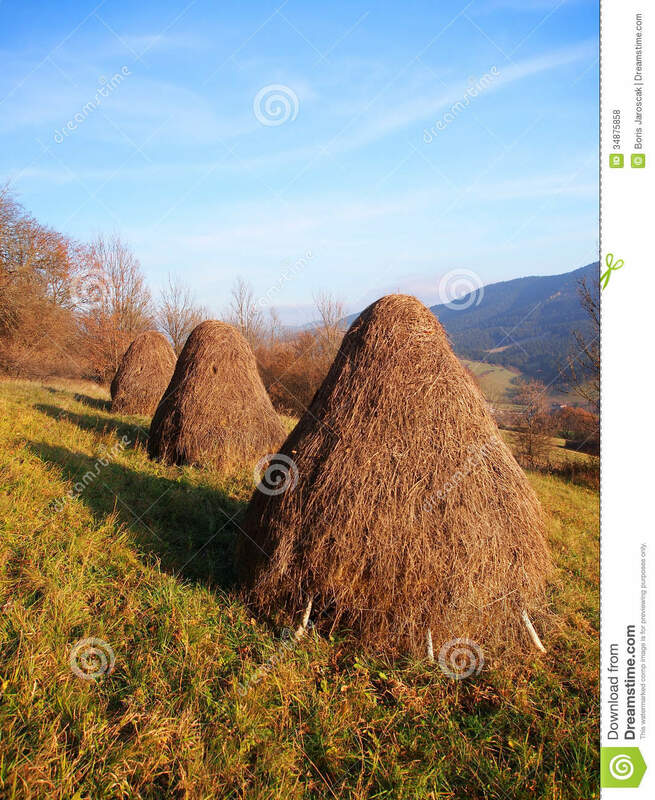 Three haystacks prepared on meadow. 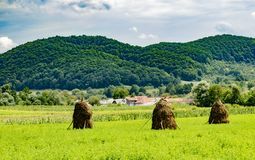 Vertical autumn view of meadow before sundown with three haystacks prepared for feeding wild animals throughout a winter. 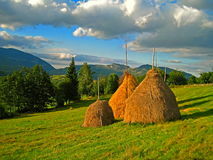 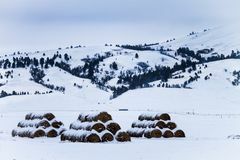 This photo was taken on meadows of Vysny Kubin village, Orava region, Slovakia.